Good for the environment, your wallet and the future and health of your child: washable diapers. But why are they so much better? Well, we all know that the plastic disposable diapers are bad in a lot of ways. We already have so much plastic thrown in the ocean, sent to countries like India or sent to landfills every day. And this has a huge impact on our environment, breaking down the habitats of many organisms, including ours. So the future of our children is in our hands. The most important thing in the world for a parent is their child’s health. And with around 50 different chemicals in diapers we can tell you, diapers are not healthy for your child. Look at the rashes they get! Of course, we already hear people say “but everyone uses them”. Yes, but all these chemicals are proven unhealthy for humans, especially little humans who are still growing and developing their body. Babies and infants are incredibly vulnerable, so extra chemicals are not welcome. We can compare it with the knowledge about food of some fastfood chains which are filled with chemicals. Although we know these chemicals have certain effects on people’s health, people still eat it. Every person’s body reacts differently which means the effects are not visible in the same way. But with logic, we can tell a lot of health issues come from eating these kinds of food and putting chemicals in our bodies. So back to the diapers, we know these chemicals are unhealthy, so putting them on your child is not the best idea. Another reason can be the costs of diapers. If you use disposable diapers, you can count on 2000 to 3000 euros/dollars per child. That is a huge amount of money, especially if you think about the costs of education that will benefit the child so much more. Well, you have different kinds of washable diapers. You have the cotton ones, which is a single cloth that you can fold yourself. You also have the ones that are ready to wear, and look like the ones we know. It depends on what you prefer, but the last one will be more appealing for people who are used to the disposable diapers. And good news: they have incredibly fun patterns and are easy-peasy to use. 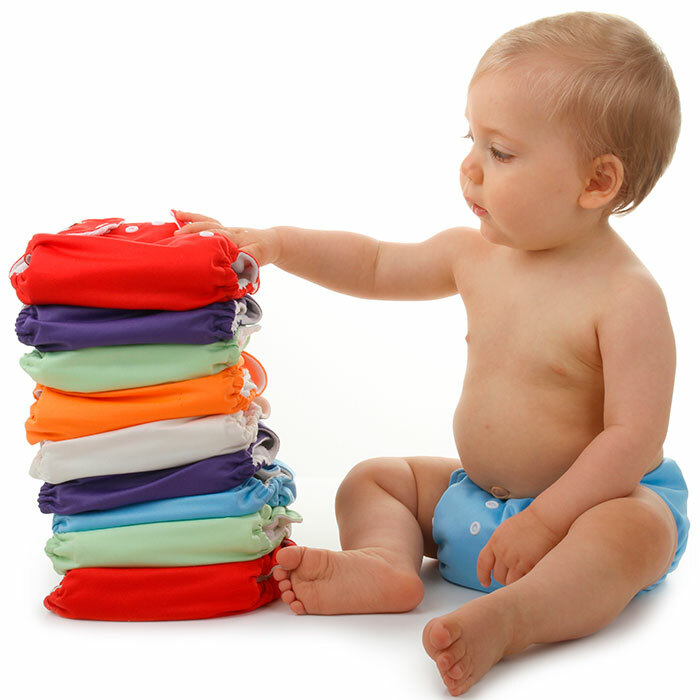 There are different sizes and even a one-size fit, which you can use from newborn until they are potty trained. And no, it is not a dirty option. You replace the insert like you would replace a diaper, and wash it at home or immediately with some water. We all want safety, happiness and health for the children. Want to know more about the chemicals or even the effect on ‘gas’ prices, check this article on Small Footprint Family.